As mentioned in the section on the History of Interpretation, consecutive interpreting was officially born during World War I, even though it had already existed before and was used regularly by merchants, politicians, ambassadors, etc. In fact, it was born before simultaneous interpretation, since it is more natural to wait until the speaker has finished talking in order to begin the interpretation. Therefore, consecutive interpretation is done with complete or partial intervention of the speaker. This means that the interpreter has to listen to the discourse, or a fragment of it, and then interpret it into the target language after the speaker has finished. Consequently, consecutive interpretation is a mode that requires a lot of memory effort and the ability to make logical judgments regarding the speech. In order to handle large amounts of information at a time, the interpreter should take notes. 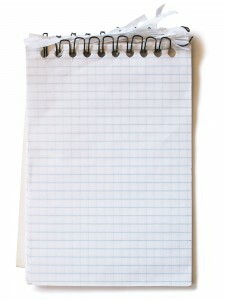 It is very important to be able to master note-taking, since it is the main strategy used in consecutive interpreting. For note-taking, the interpreter not only needs a notebook and a pen, but also a profound knowledge of abbreviations, symbols and other resources that allow the process to be done in a quick and efficient manner. In addition, it is also important to possess the ability to analyze the structure, cohesion, and articulation of the speech, in order to be able to take notes from the original speech, retain and understand the same, and finally reproduce it into the target language. Information and exercises on note-taking can be found in the corresponding section of the menu labelled Preliminary Exercises. In this section you will find exercises to practice the ability to analyze and structure the discourses, besides other things that are equally relevant for interpreters. This mode is principally used at conferences, in courtrooms and at press conferences, as well as other places that lack the necessary equipment needed for simultaneous interpreting.Consecutive interpretation is done in person to the target audience of the discourse. Therefore, the interpreter’s physical appearance should be adequate for the context of the event. He or she must go unnoticed, choose the correct attire for each occasion, avoid dramatic gestures, adjust his or her tone of voice and remain in the background. This way, the interpreter will avoid drawing undesirable attention to him or herself, since the main focus of the occasion should always be the speaker.